Aussie music fans have been speculating all year just who will perform at the forthcoming 2011 Splendour in the Grass festival. This 'news' was also accompanied by some obviously unofficial artwork. Almost immediately the event orgainsers released the following statement to Triple J "Aside from the alleged artwork looking terrible at this point in time those speculating on (the) line up have got it way wrong." The official Splendour in the Grass Facebook profile has since become a place for people to place their wishlist lineup. But first thing is first, the venue, which itself was in doubt after the devastating floods in South East Queensland in January. 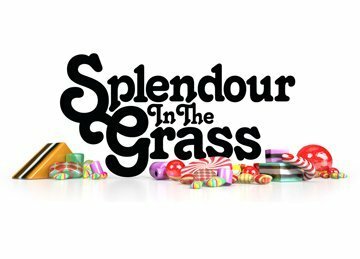 However in March, Splendour in the Grass organisers stated Woodfordia, near Woodford in South East Queensland, will in fact be the 2011 venue, just as it was last year. So now to the line-up, well the 'leaked line' contained some obviously unrealistic possibilities (such as Paul Simon), but there were 'some' potential candidates for Splendour in the Grass 2011. Firstly, Radiohead. Days after the 'leaked' Splendor in the Grass news story, there was the February headline "Radiohead tour on target for Australia." This 'news' came from Jim Quick, author of How to Dismantle an Atomic Tour…True Confessions of an Infamous Rock 'n' Roll Bootlegger, via Twitter. Now, this was all before the surprise release of their brilliant album King of Limbs. Other predictions of the 2011 line-up, came from the Fuji Rock 2011 event in Japan, which runs from July 29 -31 2011 also. Radiohead were not mentioned, but Artic Monkeys are, as are Coldplay, Queens of the Stone Age, Big Audio Dynamite, The Chemical Brothers, The Kills, Digitalism, Atari Teenage Riot, Teh Faces, Feeder, Incubus and more. The other music festival in Japan Summer Sonic, which runs from August 13-14 2011, also presented a list of Splendor in the Grass 2011 possibilities; Red Hot Chilli Peppers, The Strokes, Primal Scream, P.I.L. Suede, The Mars Volta, Two Door Cinema Club, Underworld, Friendly Fires and many more. However the first festival line-up rumour which became fact, accidentally came from Alison Mosshart of The Kills in late March. But now (April 13, 2011) the festival line-up has been announced; here are some highlights. Coldplay (only Australian show), Kayne West (only Australian Show), Jane's Addiction, The Hives, The Living End, The Mars Volta, Regina Spektor (only Australian show), Bliss N Eso, The Grates, Modest Mouse, Eskimo Joe, Elbow, James Blake, Kele, The Panics, Cut Copy, Kaiser Chiefs and many, many more - head to the Splendour in the Grass website for all the details. I guess those rumours were a little off! The event will be held between Friday 29 of July and Sunday 21, 2011 at Woodford in Queensland. Tickets go on sale 9am Thursday May 5. Keep up with all the events and line up with the Splendour in the Grass Facebook profile and Twitter account. I am so jealous of everyone going to Splendour. I've never been able to go before, because I've never had enough money at the time. Seeing Pulp and Modest Mouse would be absolutely amazing. I'd also love to see Kanye West. I'm not a fan, but I can imagine that his performance would be pretty huge. I just hope that one day in the future I'll get myself together and buy a ticket to go. I guess when you add it all up $400 isn't that expensive considering all of the great bands that you get to see, but I just can't seem to comprehend spending that much on a music festival. I do enjoy the guesses every year as to who is going to play. It is always entertaining to see how wrong or right people are. I actually work part time for the company who provides all the equipment and marquees and stages ect so I always find out lots of exciting things about events in particular this one and it always makes me want to go (althoguh I never get around to it). The build up is very exciting and very crazy. We are all hard at work(everyone else more so as they are at work more often then I am). Maybe next year I will go too it, lets just hope the line up is just as good.